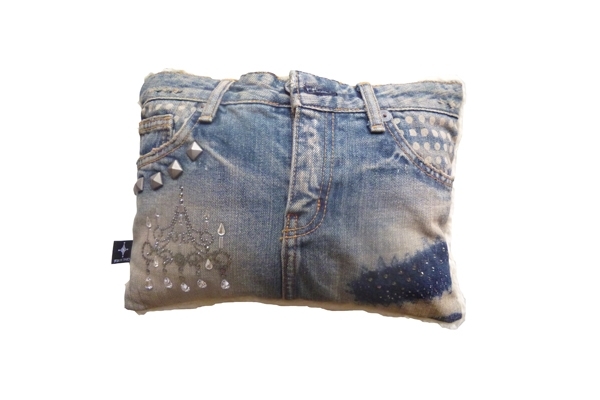 Each cushion comes in different design on denim arranged with lace and Swarovski-encrusted style. It’s our one and only cushion! When you remove the cushion material inside, you can use it as a clutch style bag. This one and only item indulges your playful spirit and stimulates your feelings. It’s recommended not only for any modern space but also for your own style space matching with some popular vintage furniture coordination as an accent.